The voting period may be over but take a look and play the games from the Fall 2018 Top 12! Build your own games for the Spring 2019 GOT GAME Competition! 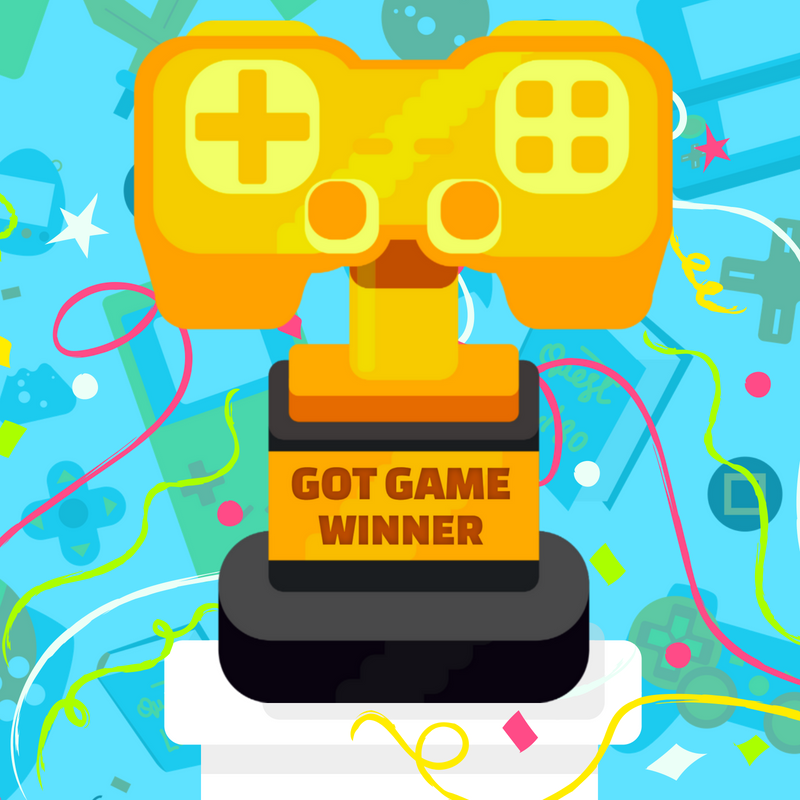 Check out previous GOT GAME winners in the GOT GAME? Hall of Fame! View Past GOT GAME Winners! Enter the machine, a giant, mechanical building full of traps and obstacles. Can you make it through? "Techno Bounce" is a futuristic puzzle game involving multiple levels including a secret bonus level. The goal is to get a ball to bounce to a specific area. There are also power ups that allow you to change the color of the ball, and more! "Super Star Crusade" is a side scrolling shoot 'em up in space. In a world overrun by powerful baddies...only one hero can take back the realm! And that hero is... a slime? Slime Knight is an action-packed adventure in which you, the Slime Knight, must travel through a dangerous world and wipe out all of the evil monsters! "Shots Fired" is a shoot em up/bullet game. It 3 levels, each with a stage section, a mid-boss, another stage section, and a boss. In the "Resource Clicker" game, you'll use the buttons to purchase resources and strategically make money! Use strategy and quickly click to work your way through the game! Robots Have Destroyed the world! In the "One Side" game, your job is to kill as many as possible before your eventual death. There are materials that you can use to build and fend them off. But eventually you will meet your bitter demise! In a world where dragons used their magic to corrupt the land, you must control Dusk and defeat these monsters to save her home. In the "ENTER" game, you play as a speedster and navigate yourself to the end in this difficult platformer. In the "Crab Walker" game, a variety of crab follow a path to attack the treasure. The player must use the object from the store and strategic placement to stop the crabs from reaching their goal. In "A Light's Journey", a puzzle-strategy game, you'll shoot a speck of light into a black hole. Prepare to be puzzled!